A flowchart is simply a graphical representation of steps. It shows steps in a sequential order, and is widely used in presenting flow of algorithms, workflow or processes. Typically, flowchart shows the steps as boxes of various kinds, and their order by connecting them with arrows. Flowcharts are graphical representation of steps. It was originated from computer science as a tool for representing algorithms and programming logic, but had extended to use in all other kinds of processes. Nowadays, flowcharts play an extremely important role in displaying information and assisting reasoning. They help us visualize complex processes, or make explicit the structure of problems and tasks. 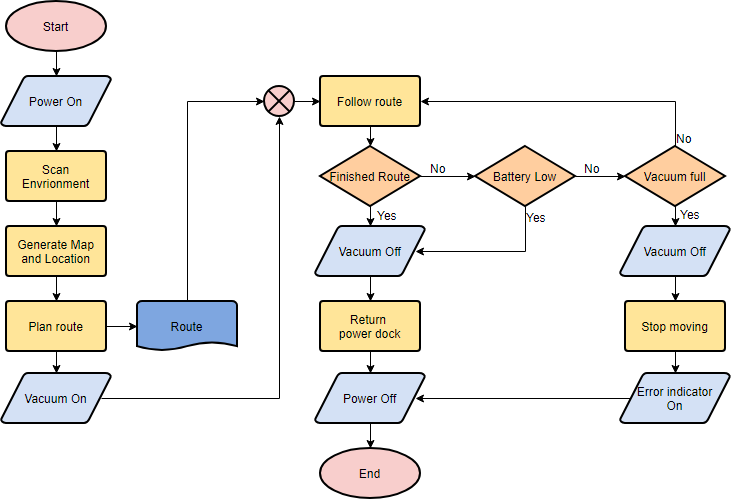 A flowchart can also be used to define a process or project to be implemented. Here are several flowchart examples. 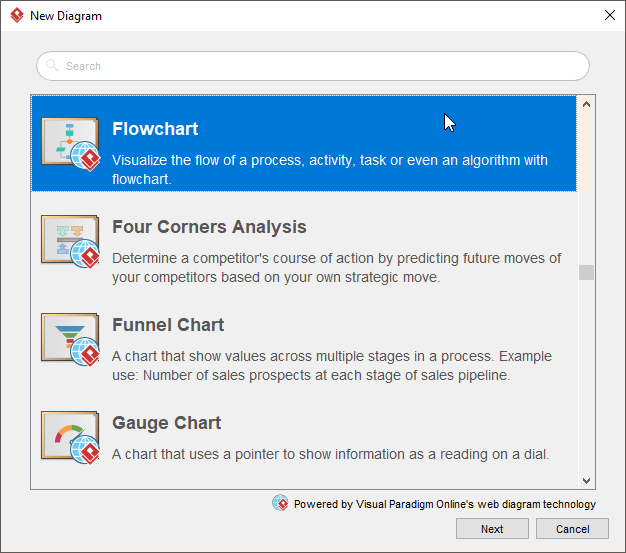 See how you can apply flowchart practically. 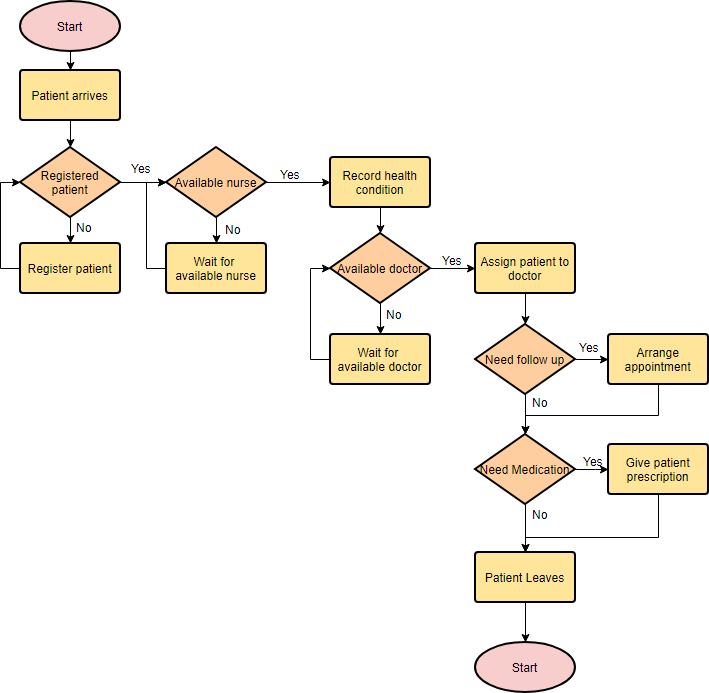 This is a hospital flowchart example that shows how clinical cases shall be processed. This flowchart uses decision shapes intensively in representing alternative flows. Flowchart can also be used in visualizing an algorithms, regardless of its complexity. 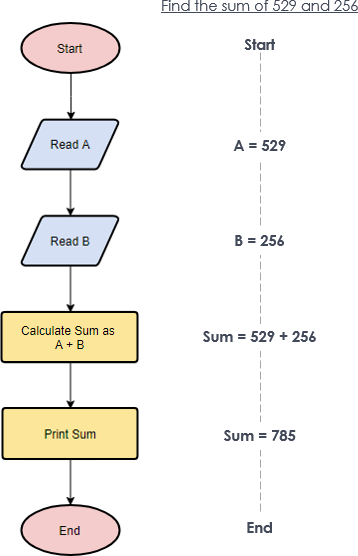 Here is an example that shows how flowchart can be used in showing a simple summation process. 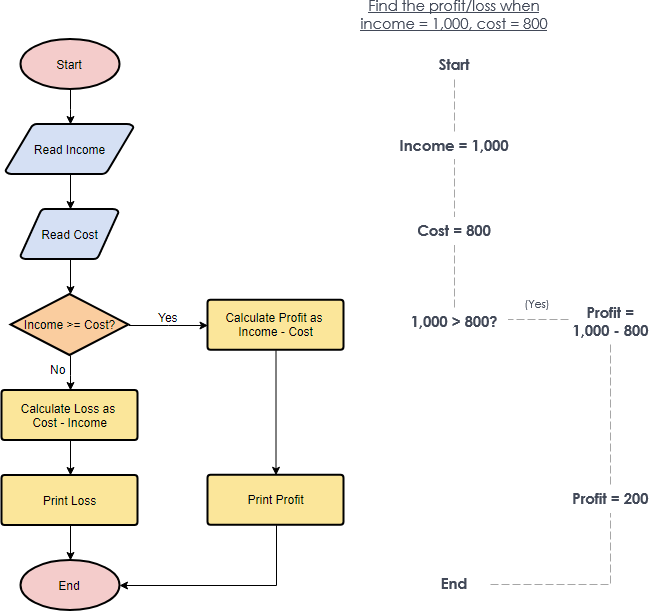 The flowchart example below shows how profit and loss can be calculated. Let’s see how to draw a flowchart in Visual Paradigm. We will use a very simple flowchart example here. You may expand the example when finished this tutorial. 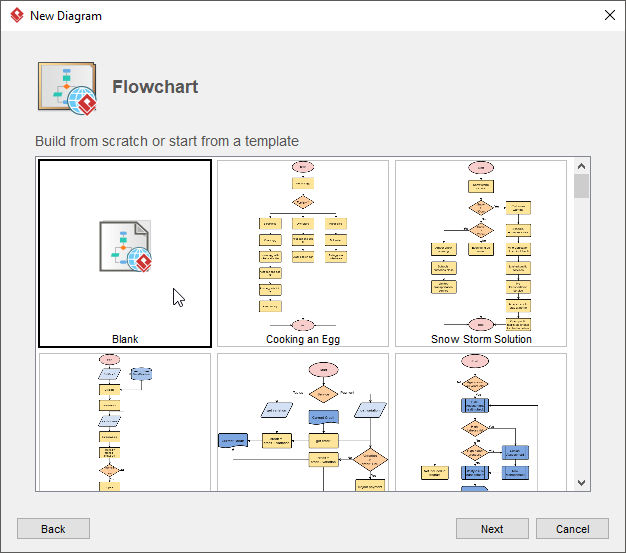 In the New Diagram window, select Flowchart and click Next. You can start from an empty diagram or to start from a flowchart template or flowchart example provided. Let’s start from a blank diagram. Select Blank and click Next. Enter the name of the flowchart and click OK.
Let’s start by creating a Start symbol. 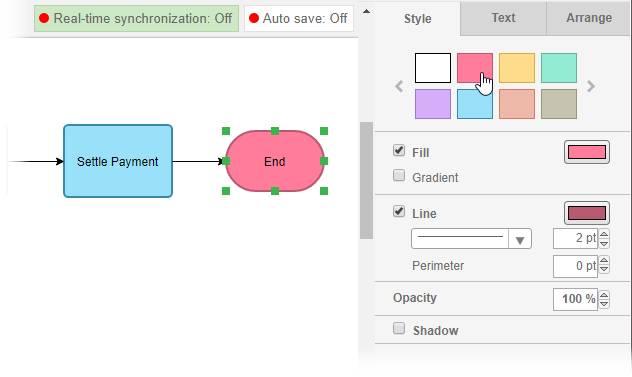 Drag the Start shape from the diagram toolbar and drop it onto the diagram. Name it Start. Create the next shape. Move your mouse pointer over the start shape. Press on the triangular handler on the right and drag it out. Release the mouse button. Select Flow Line > Process from the Resource Catalog. Enter Add items to Cart as the name of the process. Follow the same steps to create two more processes Checkout Shopping Cart and Settle Payment. End the flow by creating a terminator. Color the shapes. Select Diagram > Format Panel from the main menu. 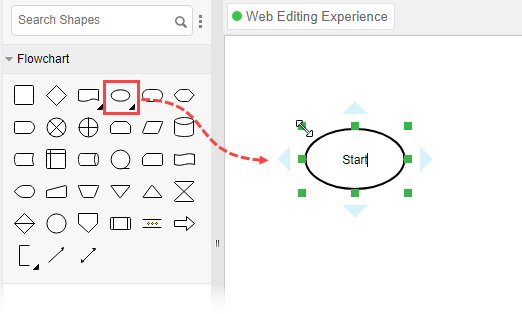 Select a shape on the diagram and click update its color through the Style setting in the Format Panel.